Guido Locher started BM Workshop Ltd over 17 years ago after serving in the dealer network here in Auckland since 1986. With over 30 years experience he is renowned as New Zealand’s authority. 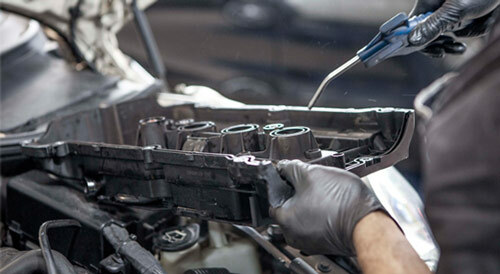 Through his vision BM Workshop has become the leading independent repairer of BMW & MINI vehicles in Auckland. In February 2002 BM Workshop opened its current premises at 315 Great North Rd, Grey Lynn, Auckland. This modern facility, which was purpose built, set a new standard for independent automotive repairers in New Zealand and proved BM Workshop’s long term commitment to providing the best in independent service and repair of BMW & MINI cars. It was also at this time that the trade parts department was launched which is now New Zealand’s only outlet dedicated to the aftermarket sales of BMW & MINI parts exclusively. 2006 saw the opening of BM Workshop Botany Ltd independently owned and operated by Ross Lamb, aimed at providing excellent customer care to the East and South Auckland area for all BMW owners. Ross has a passion for BMW, and has worked on BMW’s since 1993. Through continued customer service focus BM Workshop has grown to become a market leader by implementing a solid structure of dedicated staff and brand specific diagnostic tooling and worldwide technical resources.